Protect your hair color with the ATTITUDE shampoo color protection. 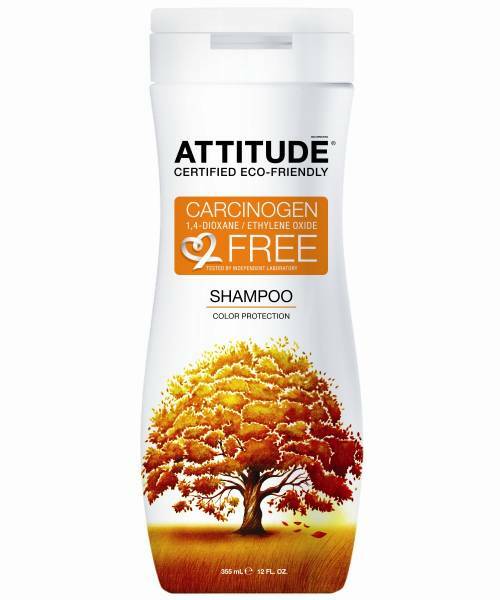 By washing your hair with ATTITUDE shampoo's all-natural uncontaminated ingredients, you will protect you hair color. Obtain the shining style you deserve, without carcinogenic by-products like 1,4-Dioxane or ethylene oxide. Do it for you!